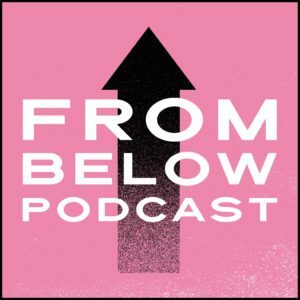 The following interview with Warren McGregor of Zabalaza Anarchist Communist Front (ZACF) discusses basic tenants of anarchism and key questions facing the left in South Africa such as calls to form a new “workers party,” addressing racial and national oppression, linking fights for reforms to revolutionary transformation and counter-power, and the history of anarchism in South Africa. 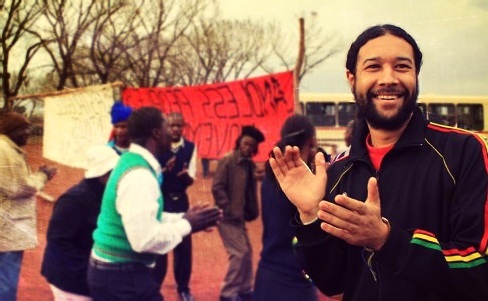 Warren McGregor is an activist born in the Coloured* townships of the Cape Flats and now a resident in Johannesburg where he is involved in working class and union education. 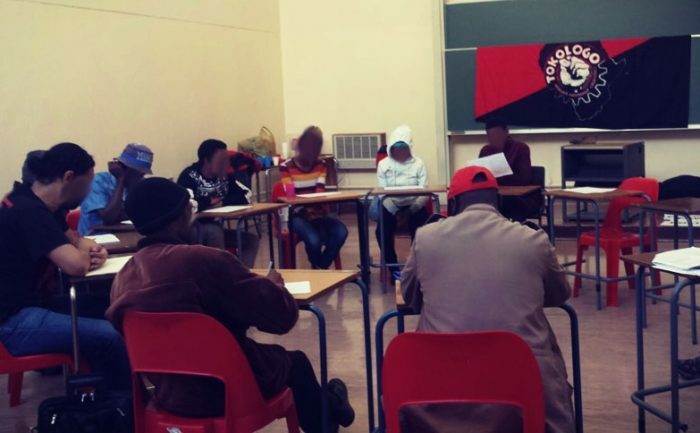 The Zabalaza Anarchist Communist Front (ZACF) was formed in 2003 as a revolutionary organization that works primarily with township groups outside of Johannesburg. *The term “Coloured” has a distinct meaning in the context of South Africa. Coloured was one of four racial categories created during the apartheid era for multi-racial populations from African, European and Asian backgrounds. Leroy Maisiri (LM): First of all thank you so much for your time, and making room for me in your busy schedule. Please kindly begin stating your name and any political affiliations you have with organisations or movements within the left. Warren McGregor (WM): It’s a pleasure, but please call me “Warren.” I am a member of the Zabalaza Anarchist Communist Front (ZACF), as well as of the Tokologo African Anarchist Collective (TAAC), and I identify myself politically as an anarchist. LM: It appears there is a new interest in forming a “worker’s party” in South Africa at present. 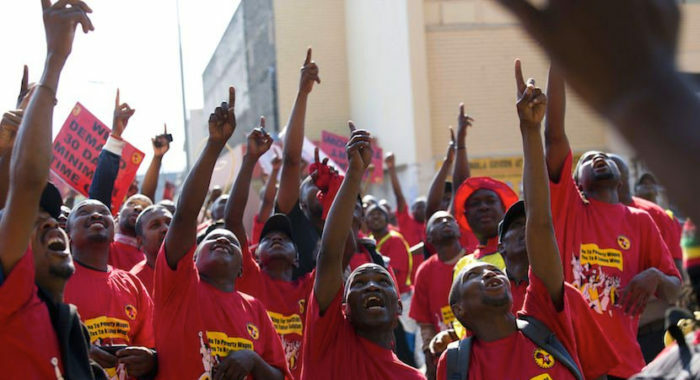 Some people think the National Union of Metalworkers of South Africa (NUMSA) will be the heart of that party, given its recent separation from the Tripartite Alliance of the African National Congress (ANC), the Congress of South African Trade Unions (COSATU), and the South African Communist Party (SACP). Others place their hopes in formations like the new Workers and Socialist Party (WASP), or even in Julius Malema’s Economic Freedom Fighters (EFF). And many people have great hopes that the ANC can be ousted by such parties in upcoming elections. Do you think that there is a need for a worker’s party in South Africa? WM: Do I think there is a need for it? No. Ultimately you have to look at what the purpose of the workers’ party would be: obviously it would be the same as all other parties, to, in whatever way, access state power. Historically, ideas of a workers’ party as a means for the working class to take power and change society come from the Marxist tradition and from social democracy, the desire being to access state power through revolutionary or (usually, these days) electoral means. What we anarchists would say is that there is no need for a worker’s party. And. in fact, that it would be very detrimental, not only here in South Africa but worldwide, to the workers’ struggle. Fundamentally for us, as anarchists, state power is part of the problem of why we have an unequal society. The real, the hegemonic, power that is already dominant in society is the power of the ruling class. By “ruling class,” we anarchists mean those dominating in the economic sphere as well as in the state sphere. And we include into the ruling class the bosses of big business, but also the bosses of the state: your top politicians, and those who run things like the military part of the state, your police and judiciary (all unelected by the way), as well as your top bureaucrats in the governing arm (all unelected). So we would include them in the ruling class. Our analysis of the state includes the people who run the state, as part of the ruling class. Elites run corporations, elites run the state. Because of our analysis of the state, we do not consider the state to be an instrument that can used to reconstruct society, or to construct an equal society, and thus we do not believe that socialism can be created through the state. And by “socialism” here, we mean a classless society and the equal redistribution of wealth and power in society, which means a stateless society, because the state centralizes power. LM: Since you have said “no” to a worker’s party, what is the alternative, according to you? WM: It is to continue to work to build working class power in the country, but what we as anarchists, with the program of anarchism, would specifically build is “counter power.” This is power that is counter the hegemonic power, essentially a power against, and outside and counter to, the power of the ruling class – and its states and corporations. For us this means very specific things. It’s about building the power of the working class to challenge the ruling class, and its capacity to reconstruct society from below at some point in the future. And the organs of counter power would include revolutionary (syndicalist) trade unions and community groups and other formations. By “working class” we do not include here just blue-collar workers. All people who work for others for wages and lack power are workers, no matter their jobs, and besides workers the working class includes workers’ families, as well as the unemployed and, generally, the poor. At the same time, the working class organisations of counter power must not only be fighting organisations, but must also be organisations of education as well. We need a radical education including the ability to critically analyse that which is around you, not just society but also yourself, and your organisation as well. This is about building a revolutionary popular “counter culture” that also deals with ideas, and with issues like what we mean by “revolution” or “democracy,” and the ideals we want for the future society, helping set in practice, now, in the development of our organisations, these ideals. So counter power and counter culture are linked fundamentally. By “democracy” as an aim, we speak of a radical democracy, a direct democracy, where the people that form part of a particular project, community, factory, are involved in key decisions and are aware of the decisions, and share in the benefits that accrue from putting the decisions into action. To get to a directly democratic society in all spheres, we need a revolutionary transformation in all spheres. But to get to a revolutionary transformation, we need to develop direct democracy right now in the organisations of counter power. And we also need to develop a revolutionary attitude, a revolutionary understanding and consciousness. At the end of the day, the ability of organs of counter power to develop towards revolutionary transformation is determined by the development of a revolutionary counter culture, of revolutionary consciousness. LM: Thank you, very comprehensive. You say “revolutionary transformation,” but are we just smashing the state here? How do reforms and immediate struggles fit? And what, specifically, is meant by “revolutionary transformation”? WM: Anarchism aims at a revolutionary transformation of society, and by this, we mean a complete overhaul of the way that society is governed and organised, to “revolutionize” the economic, social and political arrangements. Anarchism is not about chaos, or a lack of rules: it asks for a different set of rules, a different order. We do not mean changing the people at the top of society, or the nationalization of industry by the state: this still means a ruling class controlling an unequal system. We mean a society where the means of production are commonly owned, a society that is self-managed and democratized, with no hierarchies, no oppression, and no ruling class. 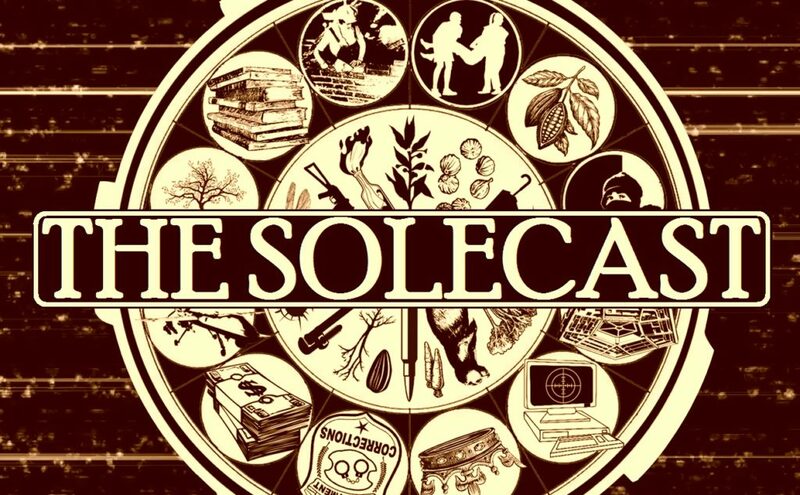 It means a self-managed, socialist society, egalitarian and democratic, with collective ownership and individual freedom. This is what we mean by revolution. But to get there you need to build working class revolutionary counter power to the point where it can take over society, replace the state and capital. This means building a mass base. So in the process of developing counter power, you need to attract people to your organisations. That means being able to win reforms in the day-to-day, using day-to-day struggles, based on direct action, not elections and lobbying, so as to improve people’s lives: to battle for higher wages, better housing conditions, and access to better conditions from capital and the state. Being anti-statist does not necessarily mean that you do not use the battle for reforms within the revolutionary struggle. 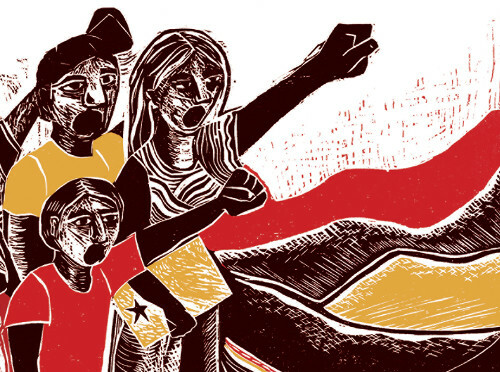 The idea is that the reforms are not the be-all and end-all of the struggle, and that the counter power remains autonomous, outside and against the state, and that fights for reforms are won through direct action by autonomous movements, and linked to the struggle to build revolutionary counter-power and counter-culture. Reform struggles help to develop revolutionary capabilities, and lead to a sense of encouragement, and the victories and defeats in day-to-day struggles are educational tools not just for the popular organisations as a whole, but for the individuals within the organisations. Victories help develop a sense of confidence in oneself as a militant in the organisation, as an organizer, and in the organisation itself. Defeats can be educational if we decide to study them as sites of critical analysis. Revolution is the goal, the end, and reforms are necessary, not decisive or ultimate, but steps on the road to revolutionary transformation. LM: I want to get your general opinion of the state of the left and of anarchism, right now. WM: Globally the left, for the last thirty years, has been on the back foot, the advent of neo-liberal globalization and the restructuring of control in societies shifting the balance in favor of the ruling class all around the world, accompanied by attacks on working class formations. The collapse of the Soviet Union, which was basically the collapse of classical Marxism, has had a massive impact: you see it in a massive decline of authoritarian socialism. But we have also seen, despite Francis Fukuyama calling the period “the end of history,” various struggles, in particular, social movement struggles, struggles of the unemployed, and the rural population and peasants. All around the world we have seen upsurges, and these new movements have to a certain extent taken over where the trade unions used to be. Although the unions are far from dead. We also see a resurrection of more libertarian socialism, in particular, anarchism. 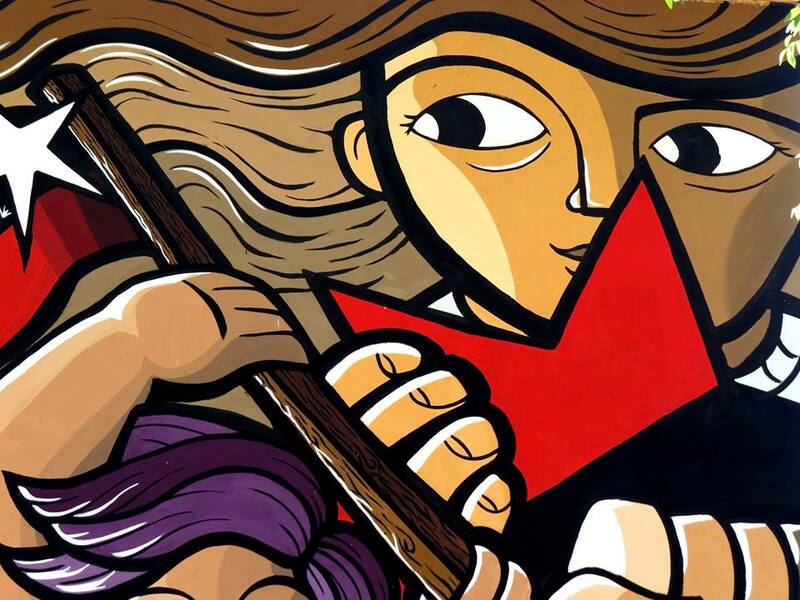 Now anarchism globally is still in a process of not necessarily defining itself, but of redefinition and rediscovery, of linking back to its historical roots, and recapturing parts of anarchist theory and history that have been lost or distorted. For example, from after the Second World War, writing about anarchist history has been focused on Northern Europe and America, relying on perspectives that discount the majority of anarchism that existed and exists globally and historically. And we see that many of the struggles today, for example, the Occupy movements, also reflect the influence of more libertarian ideas and anarchist ideas without necessarily being purely anarchist. Many of those ideas are starting to find more space in the world. However, there is a long way to go to reclaim the space that working class movements used to have a few decades ago, when they used to influence society, and also reclaiming the space for revolutionary left ideas, especially anarchism, which can radically change society. The fact of the matter is that it is the radical right – in religious, fascist, populist and anti- foreigner variants – that is capturing the space opened by massive popular dissatisfaction with ruling elites. LM: South Africa also has long tradition of left-wing and working class politics: where does anarchism fit here? WM: Anarchism globally had its golden age in terms of influence from around 1870 to into the 1930s, and remained important after that, but less so than statist movements like anti- colonial nationalism and classical Marxism. But before that anarchism was certainly the most dominant socialist idea in the world, and its trade unionism, also known as “syndicalism,” had a very big influence. It played a key role in the colonial and postcolonial world, including in anti-colonial and anti-imperialist struggles. This included an important influence on South African black and white worker formations in the early part of the 1900s. But it’s only in the latter part of the 1990s that we have a rekindling of an anarchist presence in South Africa, and an organised attempt to get re-involved in working class struggles. This all means that anarchism here is still quite a small force, first of all in the left, and secondly, even smaller in terms of influence among the working class and poor. But on the other hand we are growing not only as an organisation and organised force, but, more importantly, the ideas of anarchism, when engaged with in a proper and honest way, find favor with black working class people here. More important than sitting on committees in coalitions like the new United Front, promoted by NUMSA, or chasing political party dreams, is systematic back-to-basics work with grassroots working class people, to win influence and to develop a black working class cadre of anarchists who are involved in everyday struggles, community struggles, union struggles etc. LM: And the left in South Africa? WM: I have tons of respect, despite any ideological disagreements and differences in tactical and strategic choices, for others in the left and in the progressive movement. There are real differences in terms of strategy and tactics. But we are not sectarians: our history shows this. I have been involved in the anarchist movement for about six-and-a-half years, and its clear anarchists have a long tradition of involvement in struggle with working class organisations, and this has included working with a variety of socialist and non- socialist groups. We absolutely do not reject working with other political organisations, but we draw the line when it comes to what we are working for: if something goes against our principles or goes against the working class, we draw the line and do not cooperate. We promote structured, democratic, mandate-based approaches to organizing and reject the South African “populist” style. This is closely linked to the ANC and its offshoots, and centers on unelected and unaccountable leaders and self-appointed demagogues directing the actions of crowds who have no real say. Fundamentally, there is no way we would consider a political party, whether left or right, to be of any use to revolutionary transformation or even reforms. This does not preclude the possibility that we will work, where needed, with political party people – and not just with independent or revolutionary socialists, because we would work with ordinary SACP and ANC members in struggles. These organisations have a big rank-and-file working class membership and those members can be engaged. But as vehicles for a radical change? The SACP and ANC and indeed, all the other parties, including the EFF, cannot be these vehicles. Elections won’t and don’t help. To get anywhere in elections, the left would need to pour resources, resources that could have been used in building working class organisation and education, into getting people to vote, and even if seats are won, the representatives just become part of the problem, part of the state apparatus and ruling class. If militancy is funnelled into elections or a workers’ party, it eventually means the subjugation of working class militancy to elections. We will support any initiative that mobilizes people and has a potential to become counter power or a space to win people to our ideas, and to build counter culture. But a workers’ party and electioneering are a dead end, a grave yard for left, democratic and working class politics. What is going to change society is a groundswell of working class organisation, structured, democratic and able to develop in the direction of counter culture and counter culture, not a unity of the left, which is not really possible. And this groundswell requires not just organizing people but also changing the ideas that they have. We, anarchists, are not messiahs who are going to bring about change the actual change, the revolutionary transformation. It is the working class that will, through a long, hard struggle with both victory and defeat, by building organisation and consciousness, despite suffering many losses, that will change the world. It’s not a quick-fix, it’s not a politics of election promises or freedom from above. State power and elections have never worked for the working class: that is the quick fix that fixes nothing. Take the EFF: in power it has gone back on its promises and it reproduces many features of ANC populism. LM: Thank you once again, for your input and your time. This interview has been republished from Zabalaza with edits for clarity. The interview originally appeared in “Anarchist-Communism: Building Black Working Class Counter Power against State, Capital and National Oppression [Interview by Leroy Maisiri],” in Kirk Helliker and Lucien van der Walt (eds. ), Politics at a Distance from the State: Radical and African Perspectives, Routledge: London, New York, pp. 156-161.